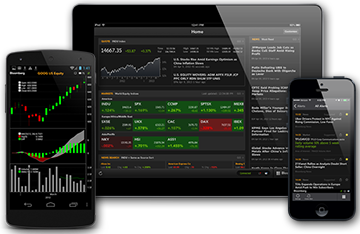 Access the Bloomberg Terminal wherever you are. Financial professionals need constant access to high-quality news, data and analytics. Bloomberg keeps you connected from virtually anywhere, from any type of device. You will need your B-Unit to log in. Not a Terminal user? Request a demo. Copyright 2019 Bloomberg Finance L.P. All rights reserved.